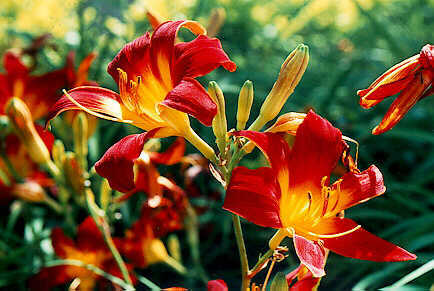 Hemerocallis, the common day lily, are both pretty and edible. The flowers, buds, young leaf shoots, and roots are all quite tasty. They will come in handy if you find yourself in an urban survival situation. Look up a few recipes and start cooking. I enjoy the buds and flowers raw.